Just in time for the new fresh stock now available! 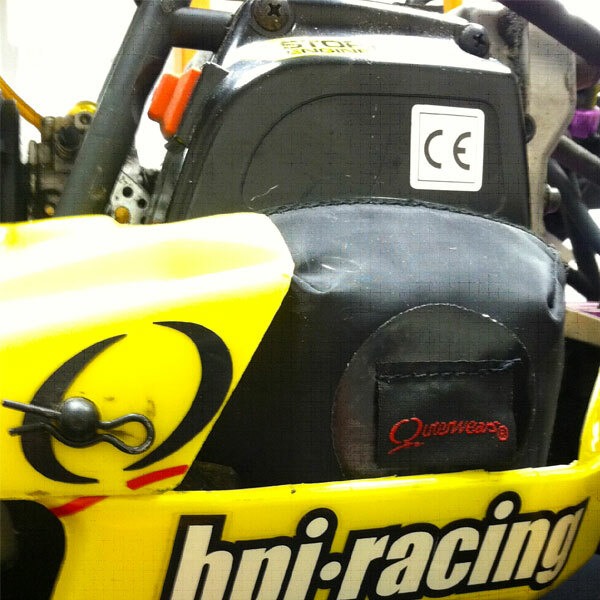 Outwears has developed a pull start cover for the Killer RC Power Starter. 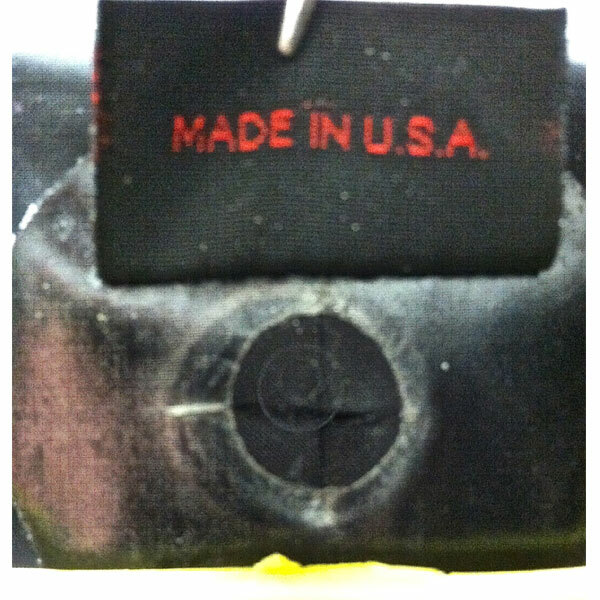 Outerwears brings you a pre-filter specialy designed to fit on Killer RC Power Starter found in the HPI Baja and many other large scale r/c’s. 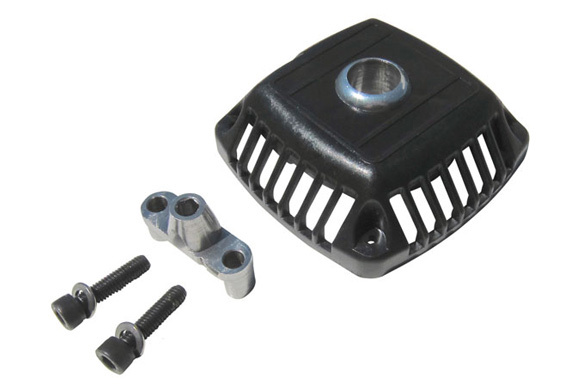 The pre-filter will keep out most dust, dirt, debris, and even water from the flywheel area of your engine. 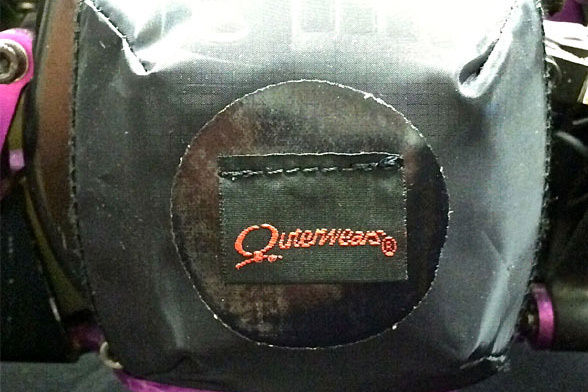 The new Power Starter cover along with all other Outerwears parts is developed using Terra Flo technology giving you the perfect balance between air flow and debris deflection. 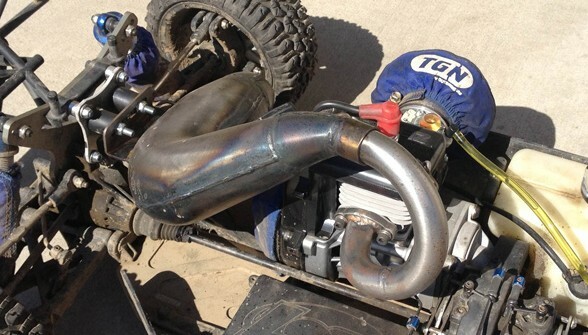 Check out this coverage from this past weekends Giant-RC Sand Drags. Where the boys brought out their toys and put the rubber to the sand. These 1/5 Large Scale Gas cars can sure haul! Looks like a couple Losi’s and a lot of HPI baja 5b’s and 5t’t and a few stretched chassis too! It’s here! We shared a prototype back in October HERE and now you can order yours from TGN. 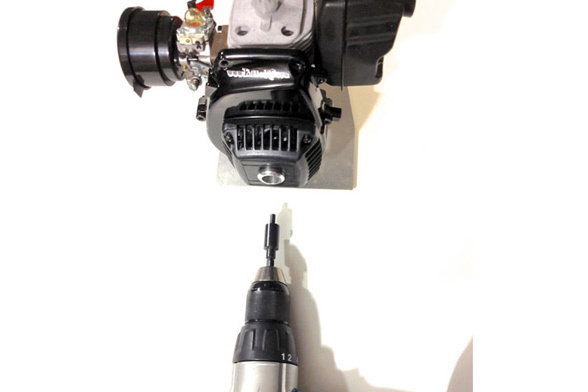 Our goal with the Power Starter was to make a power assisted engine starter that’s simple, reliable, and affordable. The main improvement here, over other starters, is that the one way bearing is in the driver on the drill. Once the engine is running, the one way bearing is done doing its job. So the bearing is not constantly spinning with the flywheel, adding drag, getting dirty, and eventually burning up, like what sometimes happens with other starters. The Power Starter also weighs less than a stock rope pull starter. We sell the Power Starter in 3 different kits. Without Driver, with 1 driver, and with 2 drivers. The driver part that fits in the drill is made by Troy-Bilt, and is available at Lowe’s Home Improvement stores or online here. This driver is what makes the whole kit affordable. If we are out of stock of the kits with the driver, then you can get your own drivers online, or at your local Lowe’s, in the weedeater parts aisle. It is also sold at Lowe’s under another brand name – Arnold. Remove the red ring on the driver before use. You will need an 18v, or higher, drill to start the engine. Your drill needs to have a 3/8″ chuck and be able to spin at 1200 RPM, or higher. The faster, the better. DO NOT use an impact drill. OBR shares their take on engine break in and tuning. Check this great video from the guys at OBR. 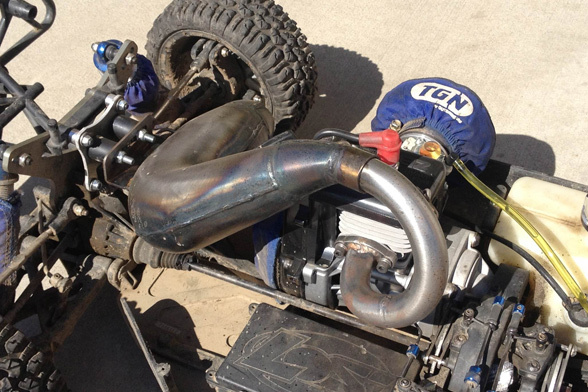 They share their take on gas 2-stroke engine break in and tuning. 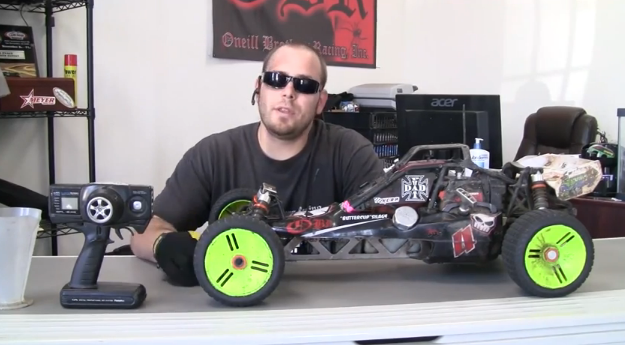 This applies for break in and tuning for all Losi 5IVE-T, HPI Baja, MCD, King Motor or whatever. CY or Zenoah engines etc. Watch more of their informative videos HERE! Over the years, we’ve received a lot of questions from customers about the best way to break in their engines. Breaking in an engine is a critical part of extending the life of your motor and preventing damage to it. In this latest video, OBR’s Dan Silagy walks you through the process of how to correctly break in and tune an engine to avoid damaging or seizing it. Dan also describes the different types of carburetors found in most fifth-scale cars, and the differences between them. Take a listen to the newest postcast from The Driver Stand. Craig talks to Horizon Hobby. Win $500 of TGN’s money by uploading a video of your Pipe! 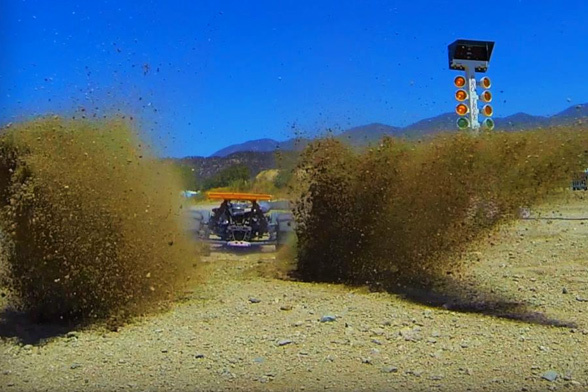 You only have a few more weeks to get out your Losi and make that video. $500 is TGN cash is up for grabs. GET ALL THE INFO HERE! Two lucky winners will also win $100 in TGN cash just by liking and sharing our posts on FaceBook. 10 more winners will get a free TGN shirt for sharing our posts on FB. Simple right? !